When news broke in November that a scientist in China had created the world’s first genetically engineered babies, the questions that had been percolating for over a decade around the morality of editing the human genome immediately boiled to the surface. What if gene editing raises risks for other conditions? Who should regulate this industry? Should we be allowed to choose genetic modifications for non-therapeutic conditions like better hair and bone structure? Will parents be able to advocate for genetic modification in utero? Should companies be incentivized to create treatments for rare, less profitable, diseases? Do religious beliefs need be taken into consideration? But for insurance carriers and employers who fund health programs for employees, the question is simply: Who should foot the bill? Although genetic engineering has been around since the 1980s, the advent of CRISPR and other advanced techniques puts us at the cusp of extraordinary advances that can directly affect the healthcare of everyday people. 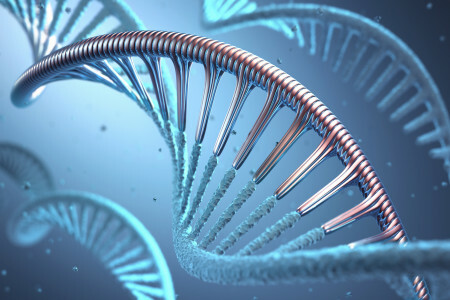 CRISPR technology has the potential to modify or recode genes in living organisms and correct mutations in the genome to treat genetic diseases. This new technology is generating cures for conditions that were once considered a life – or death – sentence. It’s a miraculous advance, but for insurers these “miracle” cures often carry extraordinary price tags. The implications for employers are also sobering. Take, for instance, an owner of a small or mid-sized company that offers an employer sponsored health plan and wants the best for their employees. One of their key employees might have a child diagnosed with a rare, debilitating disease. A just-developed, FDA approved, genetically engineered drug may save their life. The employee has gone through all the required clearances to get the child accepted into the program, including working with doctors to determine if the child is a candidate for treatment, working with the pharmaceutical benefits manager and trying step therapy to see if the patient could benefit from a less costly drug. The lower-cost course of treatment doesn’t work, and the child is deemed to be a good candidate for the full treatment. The employee is thrilled. But, it will cost $600,000 on an ongoing basis potentially for years. No insurance company will write a benefit plan that doesn’t pass along meaningful increases to that employer. The employer’s choices boil down to: absorb the cost, charge all your employees more for their health plans to offset the cost, or refuse to pay. Luxturna treats a rare form of hereditary form of blindness and allows someone who is blind from birth to see. As the first FDA-approved gene therapy treatment in the United States it’s become the poster child for miraculous, generically based cures with astronomical price tags. The cost? A one-time payment of $850,000, or $425,000 per eye. Pharmaceutical companies that develop expensive treatments like Luxturna have launched programs providing meaningful subsidies for people who can’t pay for them themselves. Some are involving a third party to cover or subsidize the treatment. Others are offering rebates if the treatment is unsuccessful in the long term. Should employers pay for these innovative new breakthroughs for their employees? Should insurers? Should they be government subsidized? We see some employers try to shift the responsibility to the employee. For example, they can incorporate a policy clause for specialty drugs stipulating the employee pays half the cost. But that has a limited impact on the employer spend, as mandated out-of-pocket limits protect employees from overly aggressive cost sharing, and even if this weren’t the case, when cost stretches as high as $850,000, most patients can’t afford to pay their half. Biotech is a commercial enterprise that needs huge financial support in order to continue with the development of genetically engineered and personalized medicine. As science lets us do things once thought impossible, all stakeholders – insurers, employers, regulators, governmental entities and patients -- will have to face a new frontier where economic realities intersect with deep ethical questions.